How unusual, not. 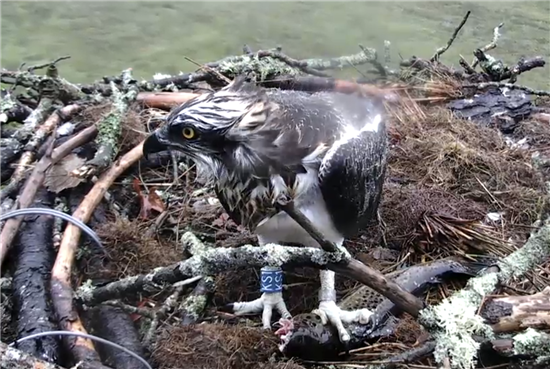 KS3 is on the nest and eating LOL! Thanks for the new thread, Mike. ENS looking wet and misty. 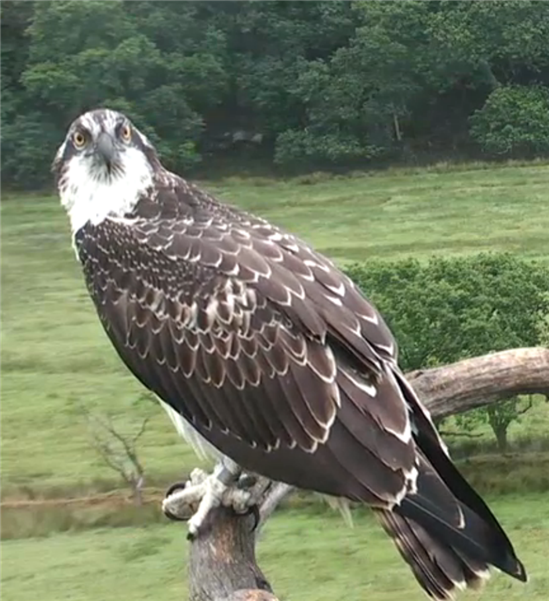 KS1 on the nest with another youngster on the perch. One KS on the nest, couldn't see who, then they flew to the perch, stopped for a few seconds and flew off. Mrs G alone on the perch then joined by KS3. Mrs G flies off to her tree top. Leaving KS3 alone.